Located at 29 Sheridan Ave, Ho-Ho-Kus, New Jersey, Our restaurant offers a wide array of authentic Japanese dishes, ranging from tranditional Japanese Sushi, Sashimi, Rolls, Tempura to new style entrees such as Organic Mixed Green, Miso Black Cod, Oshinko Vegetarian Selection and Wasabi Roll. Try our food and service today. Come in during our lunch hour (11:00 am - 3:00 pm) for a Lunch Special or during evenings for a delicious Sushi or Sashimi dinner. You can also order your favorite Japanese Teriyaki or Tempura to take out by phone. 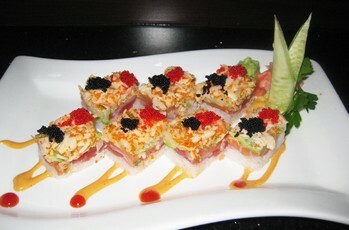 Our goal at the Ho-Ho-Kus Sushi Cafe is to provide an unforgettable dining experience for all our patrons.